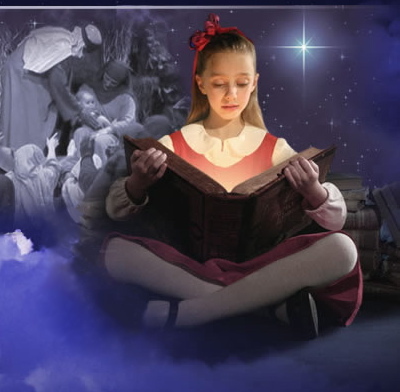 Go online – to www.gloriouschristmasnights.com – and discover for yourself the fascinating annual Christmas productions put on by a church in Richmond, Virginia. Every year West End Assembly of God sells 25,000 tickets for “Glorious Christmas Nights.” Each year is a different story. This year’s production is an exception; it is a repeat of a previous work done in 2003, brought back by popular demand. Four-hundred actors, stage hands, musicians and dancers combine their talents to pull off a holiday show that gets you “in the mood” for Christmas. Take a look at the clip below (from 2005 – this happens to be my favorite show) to get a feel for the quality and scope of the production. Bob Laughlin is the producer (the Music & Fine Arts pastor), Ron Klipp is the show’s musical composer, and Kathy Craddock is the director and primary writer. When you combine Laughlin’s genius, Craddock’s imagination and Klipp’s original scores … well, let me put it to you this way: if you’re lucky enough to get tickets … you will have a blast, and your heart will be touched. It’s a Broadway quality show with a message that will stir you. Taking children just adds to the experience. This year’s story is about two bumbling angels – Ted and Randall – who are given an assignment: to make sure the Wise Men make it to the stable so they can bring their gifts to Jesus. They’re told by their boss – the archangel Michael – that they can locate the Wise Men at Herod’s palace during the reign of Caesar Augustus. When they type the coordinates and data into their heavenly GPS (“HALO”) they get it all wrong. Instead of Herod’s palace they wind up at Harrod’s Department Store in 1903 London. There they pick up two kids – Patch and Runt – and the screwy angels take them to Caesar’s Palace in Las Vegas before finally winding up in Bethlehem. While the script isn’t biblically accurate (the Wise Men didn’t show up at the stable on the night Jesus was born, but about two years later), it reflects what has become “the Christmas story” told in most churches at this time of year. Like I mentioned before, the clip below comes from another great Craddock/Laughlin story. Santa decides to forego delivering packages on Christmas Eve one year because he’s had it with selfish, demanding kids and their materialistic parents. That all changes when he receives a letter from a young boy who “gets it.” (Complicating matters … Mrs. Claus believes Santa’s in a funk because she’s not as young and beautiful as she once was.) There are villains and drama and comedy galore … and the awesome Youth choir brings the house down during their number at every show.